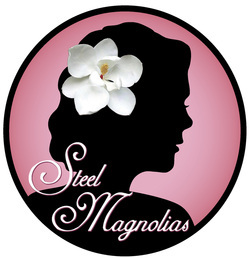 Steel Magnolias is presented through special arrangement with Dramatists Play Service, Inc., New York. Steel Magnolias is set in Truvy's Beauty Salon in Chinquapin, Louisiana, where all the ladies who are "anybody" come to have their hair done. The outspoken, wise-cracking Truvy, aided by her eager new assistant Annelle, dispenses shampoos and free advice to the town's rich curmudgeon, Ouiser ("I'm not crazy, I've just been in a bad mood for forty years"), an eccentric millionaire, Miss Clairee; and the local social leader, M'Lynn, whose daughter, Shelby (the prettiest girl in town), is about to marry a "good ole boy." The six women share their secrets, fears and neighborly gossip in a story that moves from hilarious repartee to heartbreaking drama. As Shelby's medical battles cause all the women to confront their own mortality, each finds courage, comfort and friendship at Truvy's salon.